The voyages of the I.K.S. Gorkon continue! 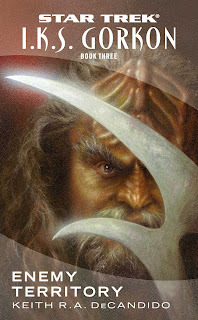 Following the events at San-Tarah, the Gorkon must now investigate the disappearance of her brother ship, the I.K.S. Kravokh. The Kravokh had encountered a ship from a newly-discovered warp-capable species, a strange alien race that believes themselves to be the only sentient life in the universe. Now, Klag must take the Gorkon to their homeworld to confront this new threat, all while dealing with a possible uprising among his own ranks! 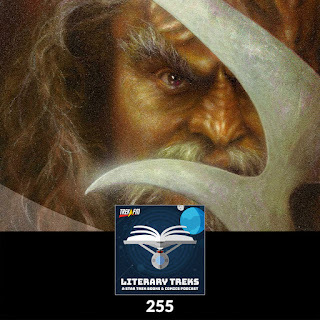 In this episode of Literary Treks, hosts Dan Gunther and Bruce Gibson are joined by Earl Grey's Justin Oser to talk about I.K.S. Gorkon, Book Three: Enemy Territory by Keith R.A. DeCandido. 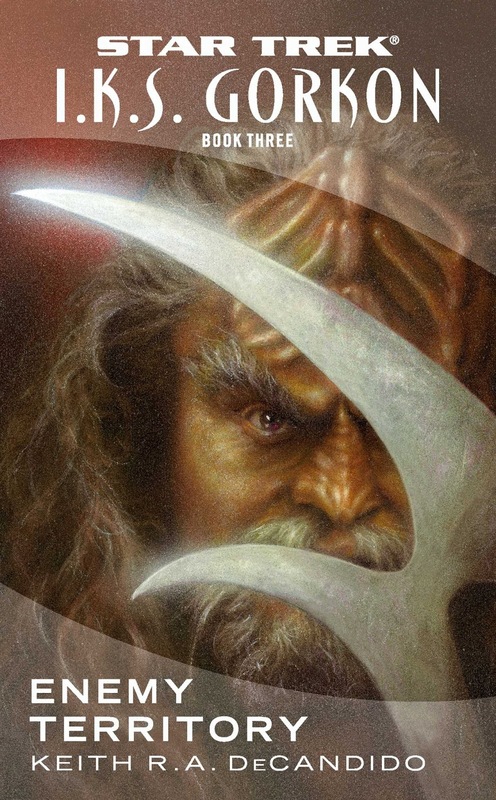 We discuss the Elabrej Hegemony, Kurak's crippling alcoholism, a mutiny forming aboard the Gorkon, Leader Wol, Rodek's identity crisis, and wrap up with our final thoughts and ratings. In the news segment, we talk about a new upcoming Star Trek: Waypoint special comic and another Little Golden Book: Too Many Tribbles!